After tricking his way into government My Punch is oblivious to the violent reaction to his proposed austerity budget. 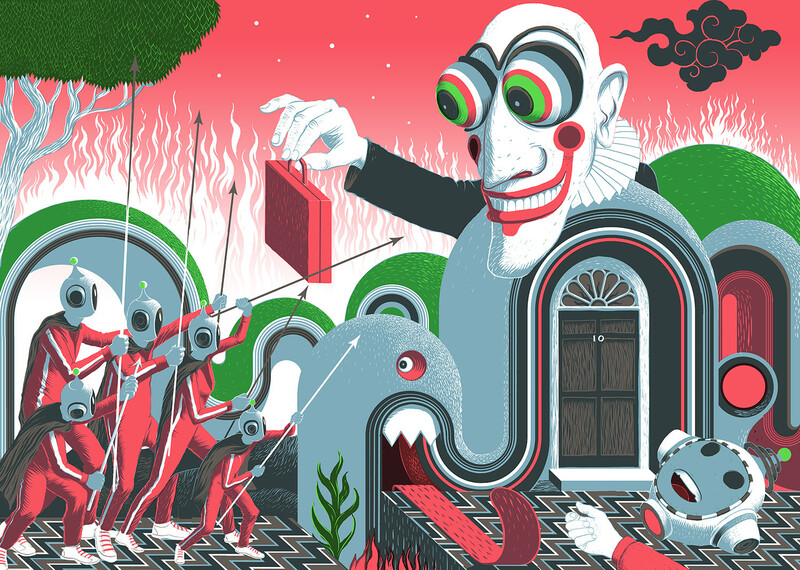 This image was made for NoBrow 8. 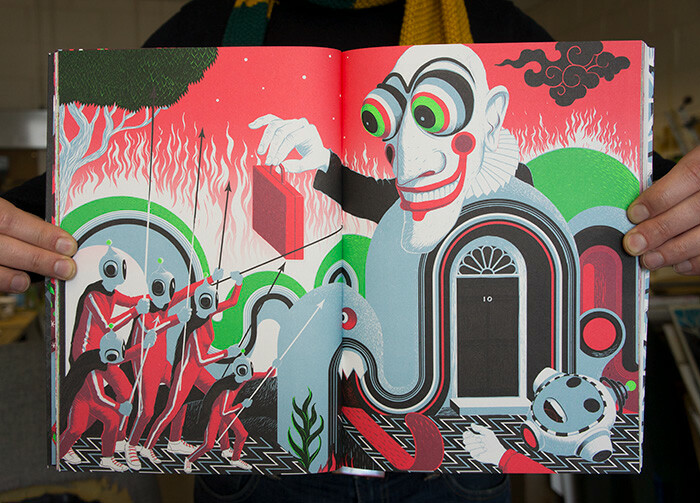 The theme was Hysteria, Mr Punch seemed a natural starting point, as did the current UK coalition government. It was interesting to work to a specified set of colours too.